Summer is the peak of overseas travel and many digital photographers will be packing their gear to take on their trips. If you have plans to travel outside your country with your photography equipment during the summer, or anytime of the year, then the following tips will reduce the hassles, protect your equipment and make the trip more fun and productive. 1. Obviously, you know where you are traveling, but create a more detailed itinerary of the places you will be visiting overseas. It’s important to know in advance any government rules, security restrictions and cultural taboos of a particular country or region. Many professional photographers who travel overseas regularly on assignment can tell you stories of suddenly finding themselves in jail or having their equipment confiscated because they stepped over a line they didn’t know existed. Another good reason to know about your destination thoroughly is to research the possibility of renting digital photography equipment there, all or in part. Equipment rental companies may also ship equipment you’ve rented to your destination, so you don’t have to carry it in your luggage. 2. Make sure ALL your equipment is clearly and as uniquely identified as possible. Each piece of equipment should be tagged with your name and contact information: camera bodies, lenses, lens hoods, filters, flash units, cables, chargers, etc. Some experienced traveling pros even recommend that you tag any extra batteries. Try to use a brightly colored, even obnoxiously colored, tape or tag, so it’s immediately evident that all your equipment is yours and part of the same group of items. 3. Create a detailed list of the equipment you will be taking with you, including serial numbers. Give a copy to your insurance agent, according to tip #4 below. American citizens need such a list for US Customs, which is explained in tip #6 below. 4. 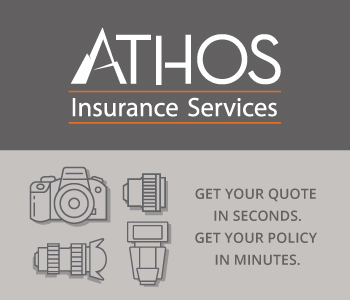 Contact the insurance company with the policy that covers your camera equipment. In some cases, your homeowner’s policy includes your photography equipment, but not necessarily. (PhotographyTalk’s Article Section has a number of articles about the right insurance coverage for your equipment. You can also click on the “Package Choice” link under the Articles Section navigation.) Discuss your travel plans with your agent to make sure all your equipment is covered in the country/countries where you will be traveling. 5. How you pack the digital photography equipment you will be taking overseas is equally important. One experienced professional recommends that you place all your equipment, plus any laptop, in one bag that you can carry onboard, keeping in mind the airlines’ regulation for bag size and weight. This may result in a heavy bag, but it’s worth it to keep the equipment with you at all times. A tripod can be checked as separate baggage. Do your best to match your equipment with what you expect to shoot during your overseas trip, so you take the absolute minimum items. If you don't expect to shoot wildlife, sports or distant objects, then leave the telephoto or telephoto zoom with the larger focal length at home. 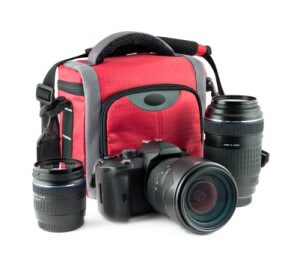 If you have multiple pieces of digital photography equipment, especially separate DSLR bodies and lenses, then a designated photography bag is your best choice. Consider the Think Tank Photo Airport Security V 2.0 Rolling Camera Bag that is specifically made for the airport traveler. Vanguard’s Heralder Series received the 2012 Best Camera Bag Award from Technical Imaging Press Association (TIPA). Cotton Carrier and Lowpro are other PhotographyTalk vendor partners with excellent camera bags and cases. 6. For American citizens, maybe the most important tip to protect the digital photography equipment they take overseas is to register it in advance with US Customs. Citizens of other countries should check with their customs office to determine the registration process, if any. When you return you can easily prove the equipment is yours and wasn’t bought in another country, which could make it subject to duty. In the US, this is typically done with US Customs form 4577; however, it is a rather time-consuming process, as every piece of equipment you plan to take must have a separate, matching form. Not only is it a hassle for you, but also custom agents don’t like to spend the time checking each form against each equipment item in your bag. Many professionals will tell you that a better alternative is Carnet. It is a form that also lists all your equipment and is accepted by more than 75 countries, including the US, as legal proof that your equipment is yours. Whichever method you use for customs make sure you read your customs office’s rules and regulations thoroughly, so you’ll quickly move through airport security and customs and focus on having a great time and bringing home great digital photography.